So. Things are happening, you guys. 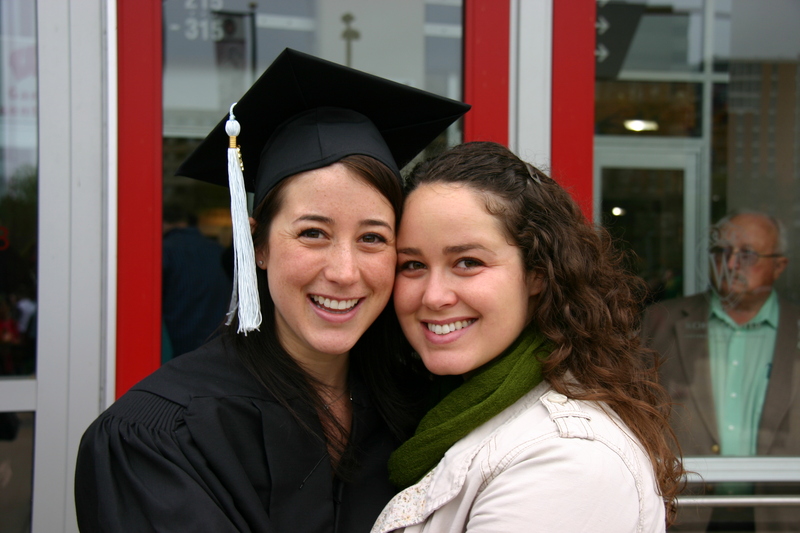 First, my littlest sister graduated from college. College, people. There she is, cute little Wisconsin badger ball of sass, in her cap and gown. If you see her, shout out some congratulations and then give her a teaching job. * And maybe a light punch in the arm, from me. 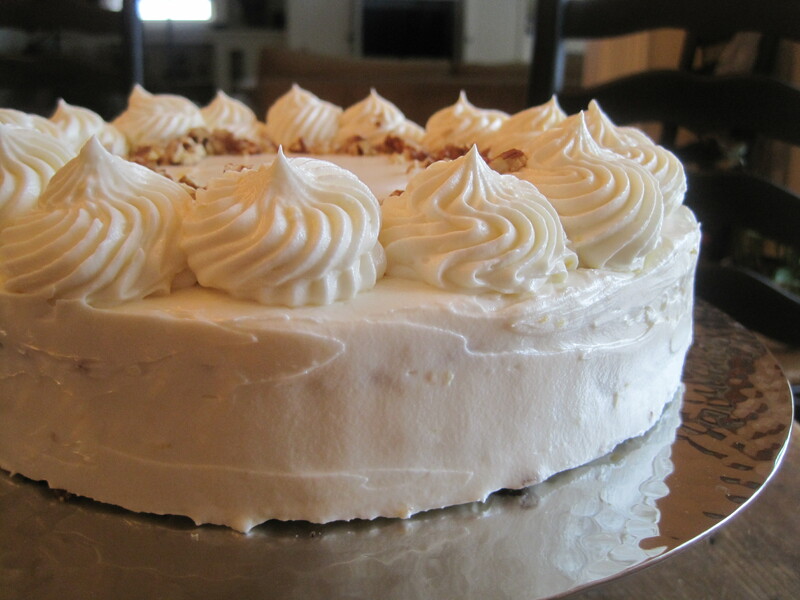 Secondly, I made carrot cake.I used this recipe, and I ate two pieces. 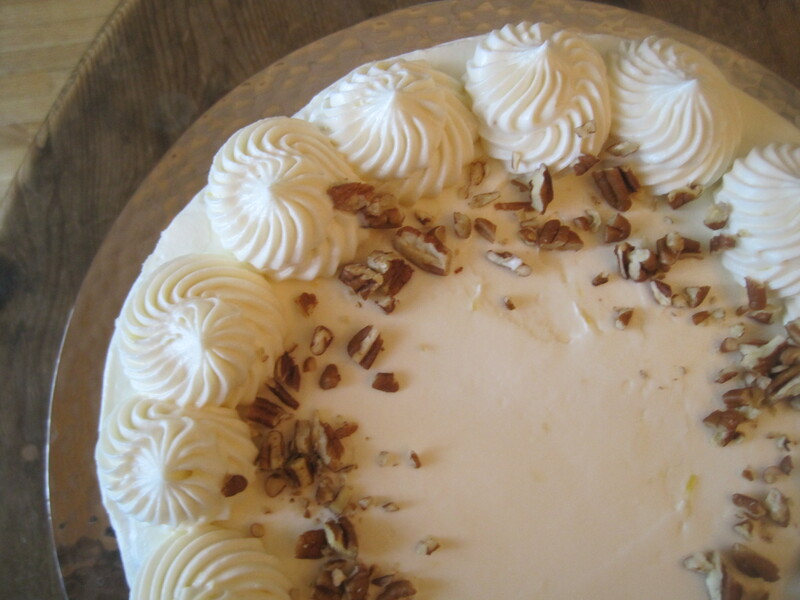 I’d highly recommend doing the same, if you’re into carrot cake and need something to help alleviate the feeling of extreme oldness in light of your little sister’s college graduation. Thirdly, fourthly and fifthly, I took a road trip, found inspiration in the form of some new friends in Minneapolis, and, oh yeah, am planning a redesign of this here nook of the internets. I’m working with my lovely and talented friend Val to give this place a bit of a face lift. And by face lift, I really mean face transplant (they can do those now, I’m told). So, faithful reader, get ready for the new and improved olivejuiced, which will not in fact be called olivejuiced, but something else – a new name, one that makes me want to eat cookies. With milk. Excited? Me too. So cheers, then – to triumphant ends and new beginnings. And all the cake we’ll eat along the way. *Since this post, Casey has been given a job. A really good one. I can only assume by one of my readers. Nicely done, team. Yes, this is a girly drink. So what? I’m a girl. Besides, it’s delicious. And it’s especially fun to sip one of these when you have nothing to celebrate, because it feels like, all of sudden, you do. 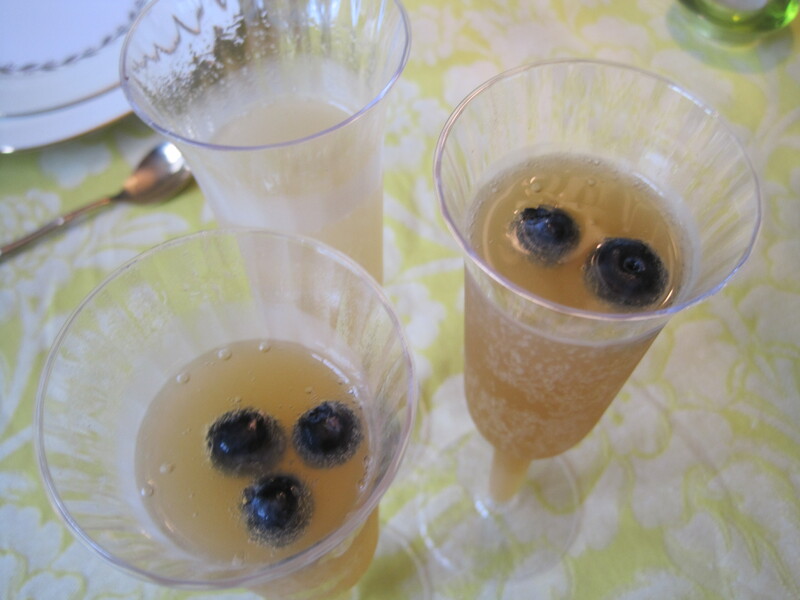 Pour peach juice one third of the way up a wine glass or champagne flute. 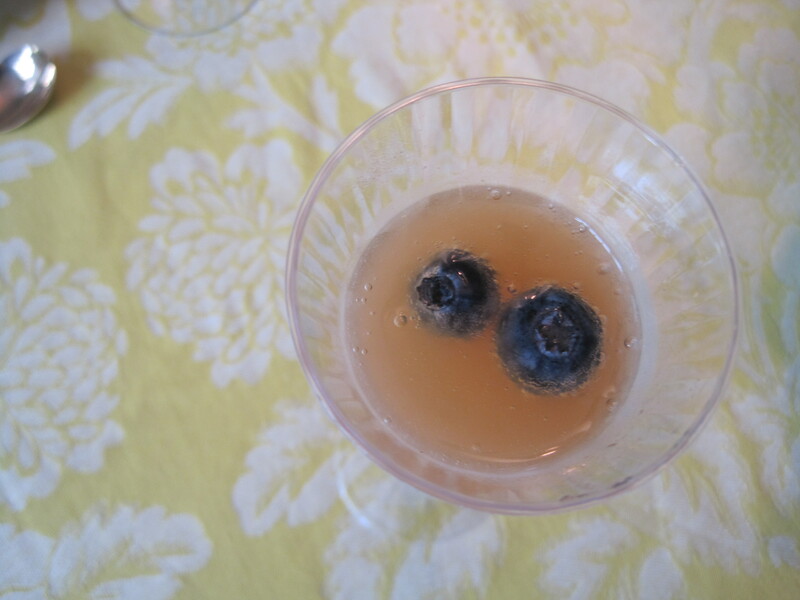 Then fill the rest of the glass with prosecco or champagne, and toss in a few blueberries. Sip, sigh, repeat. Congrats to your sister! lots of neat things happening in your life!